If you are in good health, usually the last thing you want to think about is the day of your death and what will happen to your body after you’ve departed. Not only is this a painful and difficult thought to face for yourself, it often feels daunting because you don’t know how to navigate all the decisions that will have to be made when that day comes. 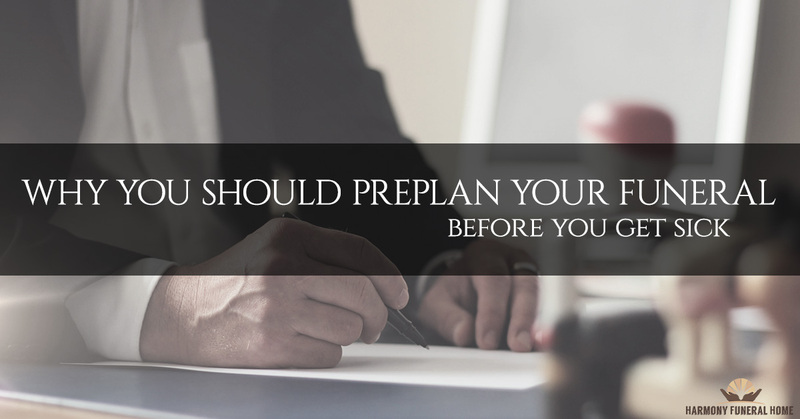 However, since that day will come eventually, whether you’re prepared for it or not, the preparations you make now can make a big difference to you and your family. Here’s why our Brooklyn funeral home would strongly recommend to you that you face this sensitive question and preplan your funeral before you get sick. If you’re healthy now and it stresses you out to think about planning funeral arrangements for yourself, think about how much more it will stress you out when you’re sick. If you have a serious illness towards the end of your life, even the littlest things (like having the bandwidth to sit down and pay your utility bills) will be hard. Dealing with a serious illness is a heavy enough weight all by itself without compounding it with extra decisions about your funeral at the same time. If you get that taken care of and out of the way while you’re healthy, you won’t have to think about it again. Plus, believe us when we say that we bend over backwards to remove every difficulty and stress from the process. We don’t want it to be daunting or painful for you to sit down and preplan your funeral. We want it to be as painless and stress-free as possible. Many people discover, after they have sat down with us and gone through the funeral preplanning process, that their mental idea or prediction of what it would be like was much worse than the actual thing. If you’re the type of person who waits till the last minute to pack for a trip, and you’re running helter-skelter to catch your plane when you get to the airport, you might look around enviously at all the people who are peacefully sitting at their gate an hour early. The analogy holds true for planning your funeral arrangements as well. There will be a weight on your mind at the end of your life if you don’t have things settled ahead of time. The peace of mind (for you and for the sake of your loved ones) is worthwhile to obtain by being ahead of the game and making plans before it becomes a time crunch to make them. Many of our plans allow you to prepay for the cost of your funeral arrangements at today’s prices, and it’ll be paid for when you die, no matter how much inflation has taken place in the interval. While you’re healthy and working, it will be less of a financial burden on you and on your children to get these arrangements taken care of. Preplan your funeral today with Harmony Funeral Home in Brooklyn.